A total of 23,200 delegates are expected to visit Berlin in 2013 for four major association congresses. The 21st United European Gastroenterology Week will take place at the Internationales Congress Centrum Berlin (ICC) from 12-16 October 2013. More than 12,000 delegates are expected to attend. 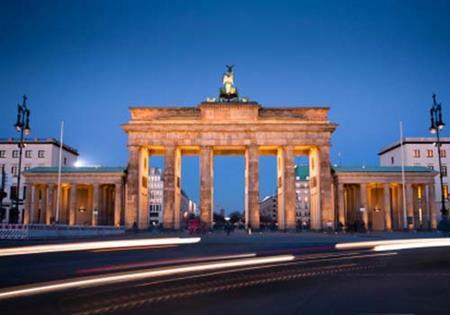 The European Society of Clinical Microbiology and Infectious Diseases will be in Berlin from 27-30 April 2013 and 8,000 attendees are anticipated. The German Society of Pediatric Surgery has been appointed to host the 4th World Congress of the World Federation of Associations of Pediatric Surgeons. The congress will take place from 13-16 October 2013. Around 1,700 participants will attend the 12th International Symposium on Myelodysplastic Syndromes from 8-11 May 2013. Prof. Dr. Richard Azizkhan, President WOFAPS, said: "Berlin is a trend-setting city and has experienced tremendous changes during recent years. Besides an inspiring scientific programme, further exceptional highlights can be enjoyed when colleagues gather from all over the world."